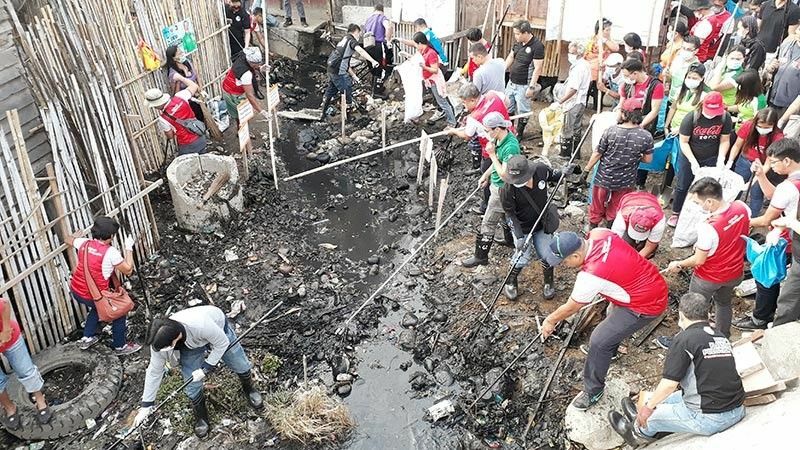 HUNDREDS of volunteers participated in the cleanup of Barangay Macabalan, Cagayan de Oro City in line with the World Water Day celebration on Friday, March 22. The cleanup drive benefited different areas of Macabalan, namely, Cilrai, Piaping Puti, Piapig Itum, and Punta. This year's theme is "Hawak-kamay, Tubig Kaagapay." The participants came from government, school, and business communities. Reynaldo Digamo, director of Environmental Management Bureau (EMB) in Northern Mindanao, said the celebration of the World Water Day is an opportunity for not just the residents of Barangay Macabalan but also the citizens of the city to learn more about the solid waste problem and how to manage it as it involves not just the land area but also the water. "Kinahanglan nga samtang kita gitagaan sa Ginoo daghan kaayo'g tubig, apan kinahanglan nga ato sab kining ampingan pinaagi sa pag-manage sa atong mga basura (it is important that while we were given by God the abundance of water, we need to take care of it by managing our wastes)," Digamo said. He added that apart from the cleanup drive, they are also planning to conduct an information campaign to educate the public on proper solid waste management. "Kay ang balaod sa solid waste management gipagawas kini year 2000 pa. Ngayon 2019, ibig sabihin mga 19 anyos na kining maong balaod. 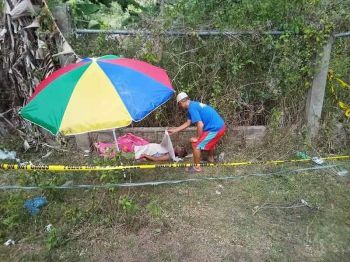 Apan hangtod karon atong nakita nga murag wala pa gayud mag sink in sa huna-huna, sa ulo og sa kasing-kasing sa atong mga katawhan," Digamo said. He also mentioned that apart from the information campaign, they will also coordinate with Barangay Macabalan to continue cleaning up their area, extending their assistance by providing equipment such as rakes, boots, gloves, among others. Digamo thanked all those who attended the cleanup drive. Among them are the government agencies in Northern Mindanao such as the Department of Natural Resources (DENR), Environmental Management Bureau (EMB), Philippine Postal Office, NAtional Housing Authority, Department of Science and Technology (DOST), and Bureau of Customs. Meanwhile, the Cagayan de Oro Water District (COWD), Philippine Coast Guard-Northern Mindanao, Philippine National Police, Geodetic Engineers of the Philippines Inc., and Pantawid Pamilyang Pilipino Program (4Ps) leaders of clusters 1, 2, 3, 7, 9, 10, 12, 13 and 16 also participated in the activity. Other groups involved are: Macabalan Fisherfolks Multi-Purpose Cooperative, Macabalan National High School, MAFEDERA, Concerned Youth of Parola, Guardian Brotherhood Inc. Mainstream, League of Responsive Youth of Piaping Puti, Spruce Designers Network Inc., Nagkahiusang Kabus nga Katawhan sa Macabalan, Pilipinas Shell Petroleum, CDOC Hapsay Sapa, Oro Port Cargo Handling Services Inc., and the Philippine Ports Authority. World Water Day is an international observance held annually on March 22 as a means of focusing attention on the importance of freshwater and advocating for the sustainable management of freshwater resources. In a separate event, COWD had its own tree planting and cleanup activities as well. 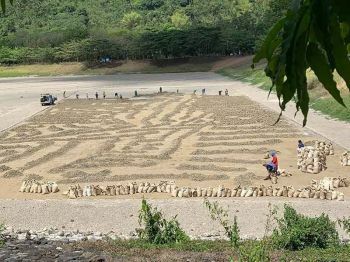 Early this month, the city's water service provider has teamed up with government agencies such as the Bureau of Fire Protection (BFP), Philhealth, among others to plant Narra saplings along Barangay Macasandig's Tibasak riverside. "Through this, we do our part in protecting our rivers, oceans, and ecosystem around it because trees, as we all know, control soil erosion, provide shade and shelter for wildlife and help reduce climate change by absorbing carbon dioxide while releasing oxygen," COWD said in a statement. The COWD also said it is invariably against plastic pollution so it has also exerted efforts to clear up plastic and other trash at the planting site. It also contributed for the meals of the participants. The COWD emphasized that all throughout the month, basic information about World Water Day 2019 with the theme "Leaving no one behind" were released. "What does this mean? In 2010, the UN recognized 'the right to safe and clean drinking water and sanitation as a human right that is essential for the full enjoyment of life and all human rights'. The human right to water entitles everyone, without discrimination, to sufficient, safe, acceptable, physically accessible and affordable water for personal and domestic use; which includes water for drinking, personal sanitation, washing of clothes, food preparation, and personal and household hygiene," COWD said. The COWD also announced that it will hold a special orientation seminar for some 159 new water service connection applicants at Mahogany Relocation Site in Canitoan. "This is in connection with the theme of leaving no one behind and providing water for people of all walks of life, so that they too may soon have access to safe, potable water," the statement added.